Londonderry’s walkable waterfront campus has a “village-like” atmosphere that residents love. It is a neighborly place where residents enjoy painting with friends on the river bank, playing billiards in Magnolia Manor, or just catching up with neighbors while walking their dogs. Convenient walking paths connect the cottages and apartments to Londonderry’s Community Center, which is the hub for Londonderry’s classes, programs, and social activities, which range from morning yoga classes, to engaging afternoon lectures, to the “Bubbles” cocktail hour before dinner. Residents stay connected through Londonderry’s many walking paths. Meandering through the grounds, these paths showcase Londonderry’s natural beauty. Situated on the Mid Atlantic Flyway, Talbot County is home to many species of birds on their migrations south. Londonderry’s many vistas make bird watching a popular past time, while the pet-friendly campus encourages dog walking and morning and afternoon strolls with friends. These paths also connect Londonderry’s newer construction with the property’s past. The diverse schedule of offerings at the Community Center includes painting, photography, bridge, Mahjong, Wii™ Bowling, bike riding, quilting, book club, and music/dancing. Londonderry residents enjoy sharing passions and interests with one another, which is how our wine and beer making groups formed. There is always something new to learn and experience. The Community Center is also home to The Tred Avon Tavern, Londonderry’s full-service restaurant, open for lunch, dinner and Sunday brunch, as well as a bistro/coffee bar, social lounge with a fireplace, sunroom, mailroom, activities room, and a library. We care about the wellness of our residents and offer regular fitness classes in the Community Center or at the nearby full-service YMCA. And even a hair dresser! We take the worries out of home ownership while making day-to-day living hassle free. If you are sick or the weather turns nasty, we will bring your meals right to your home for no additional charge. 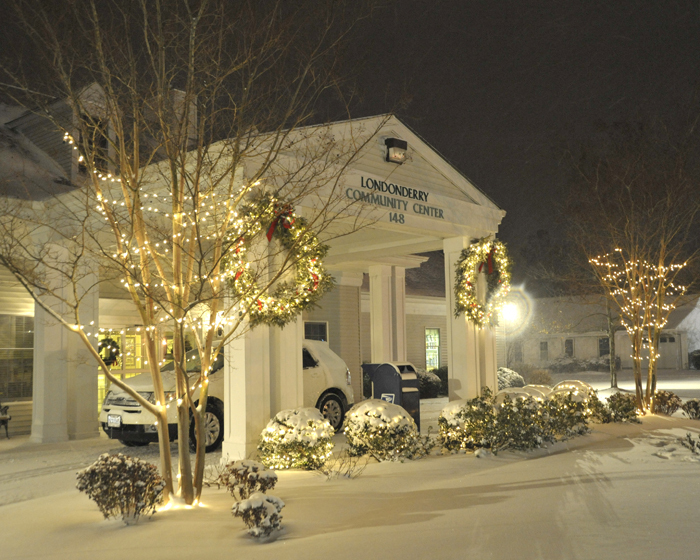 Londonderry residents and family members enjoy use of the historic 4200–square foot Magnolia Manor on our grounds for entertaining, special events, and overnight accommodations for family and friends. Two designer suites are available for rent for guests of Londonderry residents. Both suites include king size beds, sitting areas, and private baths. Common areas include a kitchen, dining room, meeting room, porches, and a living room area. 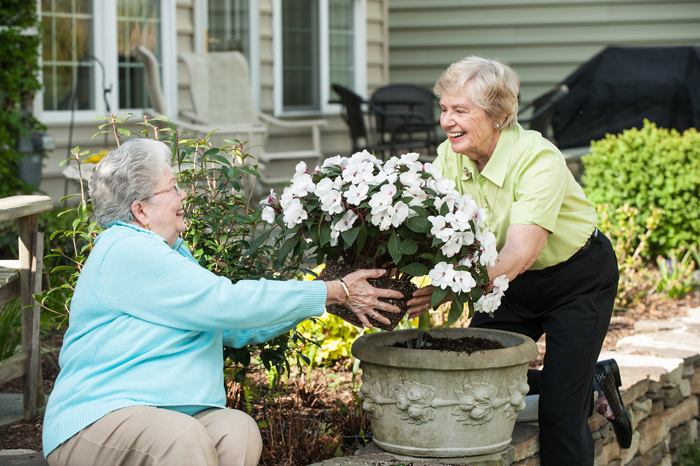 Magnolia Manor is also available for resident social gatherings – another way to stay connected to friends and family. A billiards room hosts both men’s and women’s pool leagues, while the rest of the house entertains bridge and tea parties, lifelong learning classes, and wine and beer making in the spacious kitchen.